LAS VEGAS (May 21, 2015) — Bigshot Toyworks, the award-winning creative studio, is launching its All City Style, Four Horsies of the ‘Pocalypse, and FUnicorn brands at Booth W194 at the 2015 Licensing Expo, taking place June 9-11 at the Mandalay Bay Convention Center. Premiering on the world stage on June 9, 2015, the three new Bigshot Toyworks properties will be presented to potential entertainment partners in the form of collectible toys and associated products, with all IP developed in-house by Bigshot Toyworks. 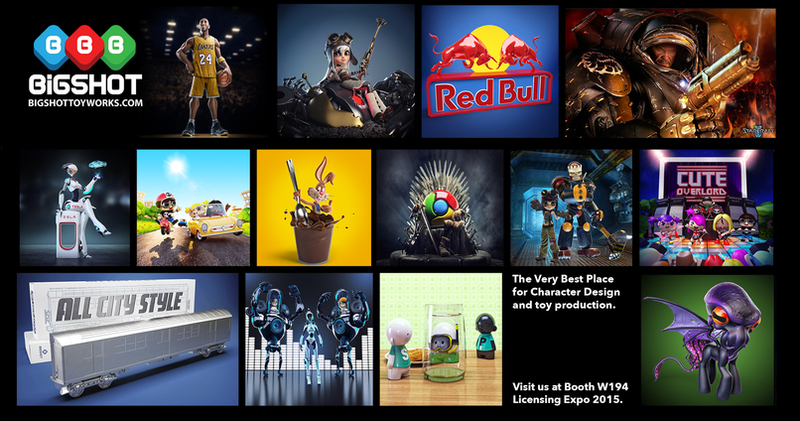 In their first year exhibiting at the Las Vegas Licensing Expo, Bigshot Toyworks will also showcase a wide array of past and current client projects, including work for some of the biggest names in entertainment. Appointments can be arranged by emailing projects@bigshottoyworks.com. To augment their presence at the Licensing Expo, Bigshot Toyworks will be participating in two more local Las Vegas events in support of their new brands. On the evening of June 9th, retail chain PIQ will be hosting an All City Style custom subway train show at their Caesar’s Palace location. 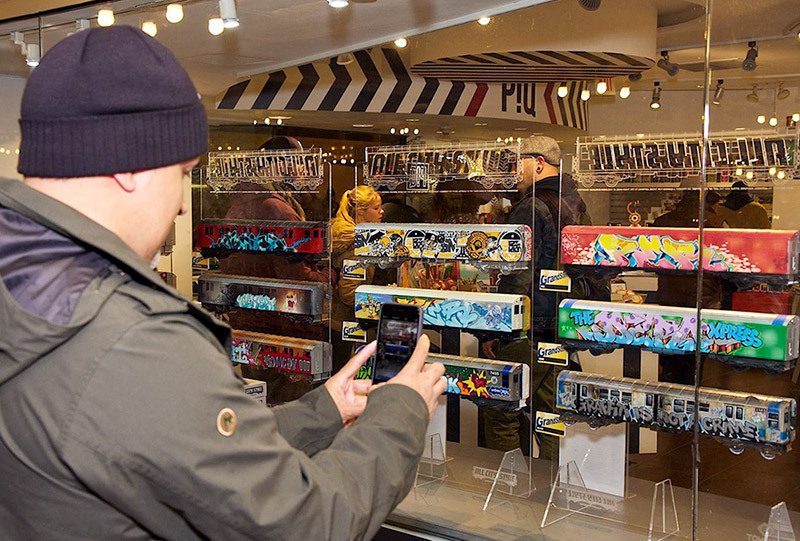 With 30 graffiti artists and graphic designers contributing custom-painted All City Style trains, The Grand Slam II show promises to be a worthy follow-up to the hugely successful November 2014 Grand Slam show, held at PIQ’s Grand Central Terminal location in New York City. On the evening of June 10th, Bigshot Toyworks will be participating in an Open House hosted by their partner company, Walls360, manufacturer of high-tech, re-usable wall graphics. Bigshot Toyworks will be showcasing their work along with dozens of entrepreneurial start-ups and creative development studios. Walls360 is located at 5054 Bond Street in Las Vegas, and their open house will feature food trucks, drinks, music, artwork and an unbridled creative explosion. In June, Walls360 wall graphics for the All City Style brand will be available in several sizes on the Walls360 website, via Fab.com and on Amazon.com. 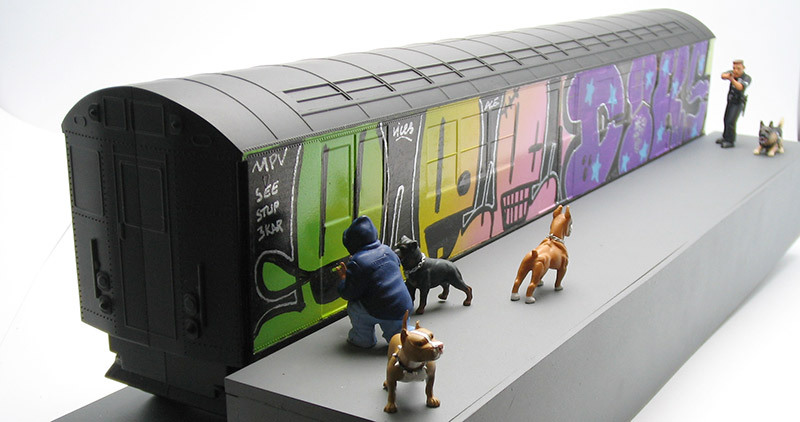 The All City Style blank subway train graphics allow artists to get their creative juices flowing by making subway train art that can be peeled off the wall, re-applied to new locations, and even sold by the artists to their customers. The All City Style wall graphics will also be available at PIQ Las Vegas, in Caesars Palace, beginning June 9 to coincide with the All City Style custom train show opening there that night, as well as online at Fab.com, Amazon.com, the Walls360 shop and more. 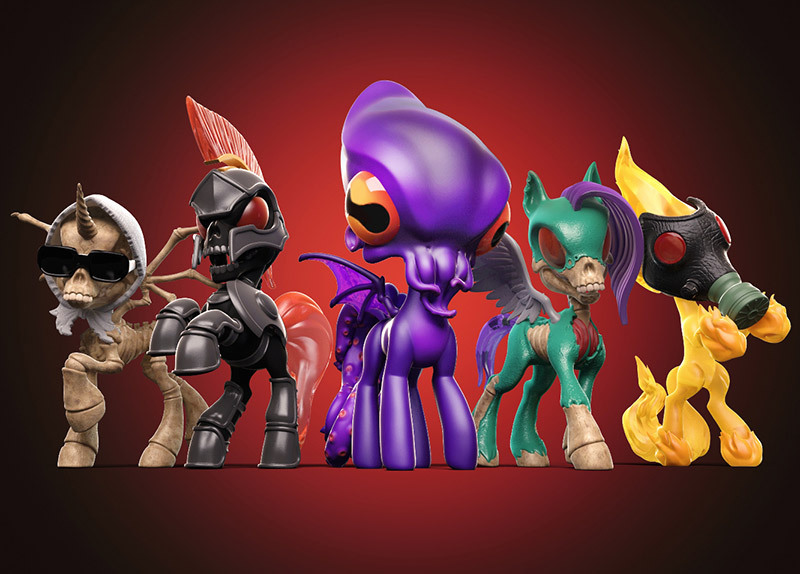 The Four Horsies of the ‘Pocalypse wall graphics have already been pre-sold to excited customers through a recent, hugely successful Bigshot Toyworks Kickstarter campaign which funded the production of the Four Horsies collectible art toys. Bigshot Toyworks is an award winning creative shop with a focus on the design, development, and production of unique characters, illustrations, toys and art objects. Bigshot Toyworks work can be seen in national print, and TV advertising campaigns, toy stores, and art galleries around the world. With roots deep in industrial design, toy design, digital sculpting and very close project management, the international team of designers and artisans at Bigshot have a unique ability to create incredibly vivid and detailed works of art that closely represent the heart, soul and vision of their creative partners. Unique understanding of design, a fine tuned development process and the endless drive to pull off the impossible are the driving force behind the studio. For more information, please visit BigshotToyworks.com. Walls360 creates amazing wall graphics for artists, brands, and digital content partners worldwide. Walls360 wall graphics are created on-demand at the Walls360 wall graphics factory in Las Vegas, Nevada, and shipped to customers globally. For more information, please visit Walls360.com. Bigshot Toyworks is an award winning creative shop with a focus on the design, development, and production of unique characters, illustrations, toys and art objects. Our work can be seen in national print, and TV advertising campaigns, toy stores, and art galleries around the world. With roots deep in industrial design, toy design, digital sculpting and very close project management, the international team of designers and artisans at Bigshot have a unique ability to create incredibly vivid and detailed works of art that closely represent the heart, soul and vision of their creative partners. Unique understanding of design, a fine tuned development process and the endless drive to pull off the impossible are the driving force behind the studio.